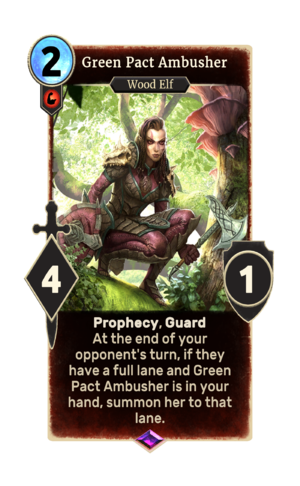 Green Pact Ambusher is an epic Strength creature card. It is part of the FrostSpark Collection. "What did you expect? A friendly greeting?"